Today I harvested the last of my cabbages. I planted six in late autumn and it has been my most successful year yet for cabbage growing. This success I believe is down to planting late to avoid the aphid and white butterfly and digging in plenty of sheep manure as they are big feeders. I am lucky to live on the Otago Peninsula so can use seaweed - a magic mulch! This week I purchased from the Dunedin farmers market a $5 bag of Havoc bacon pieces thinking this could be a great addition to my final cabbage. 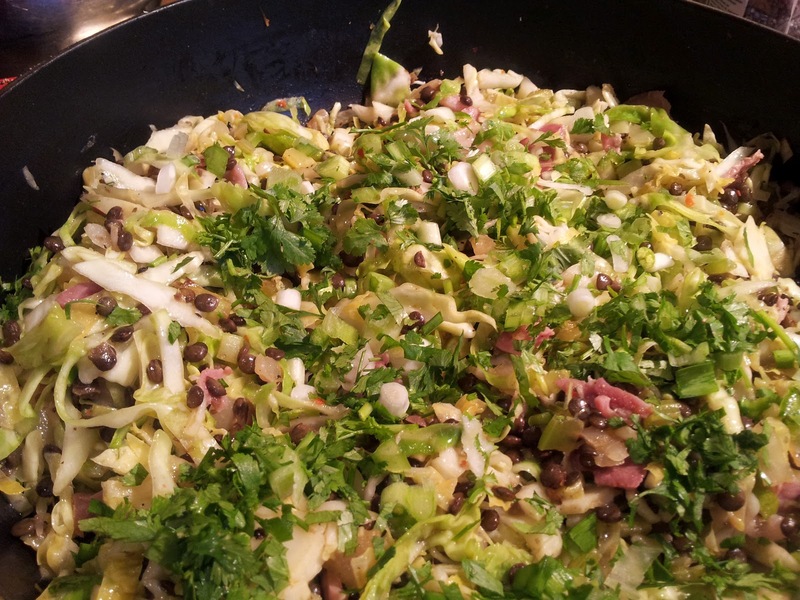 This recipe adds lentils to the cabbage which gives the dish a rich earthy flavour and a satisfying dish. If you prepare the lentils ahead of time it only takes a jiffy to make at the rush hour of dinner. It's from one of my favourite books "Riverford Farm Cook Book" introduced to me by my neighbour Rob. Riverford farm is one of the largest organic growers in the UK and each vegetable or fruit has a chapter with a number of recipes. Being English the plants they grow are very similar to our southern NZ growing conditions. 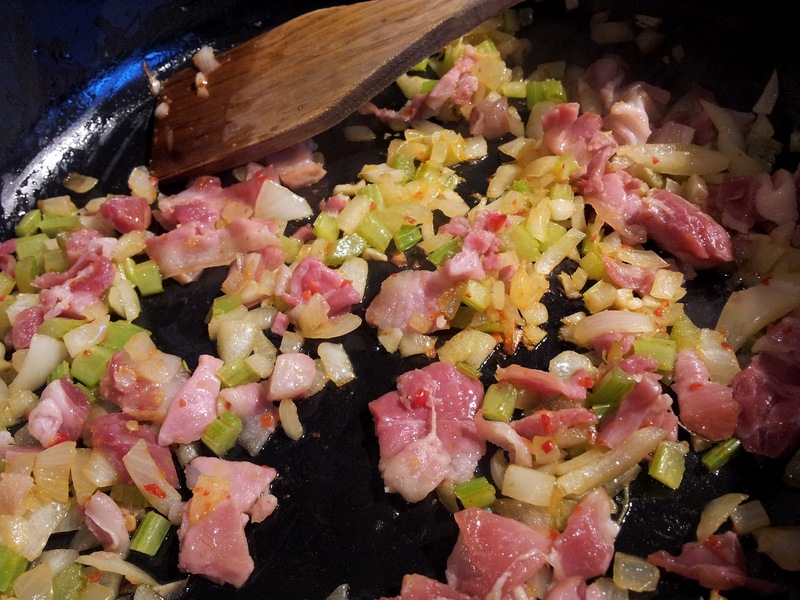 At the very last minute I added the chopped coriander along with some finely chopped onion weed - my foraging addition to the recipe. My cabbage was small and compact - I was surprised to see it weighed exactly 500g! But if you only had a little cabbage you could add a mix of other greens like silverbeet, kale, the crinkly dark green cavolo nero (Itailian kale) or sliced brussel sprouts. Last time I baked some potatoes and used this dish as a side but it can be a stand alone main, especially with the addition of spicy sausage or bacon. 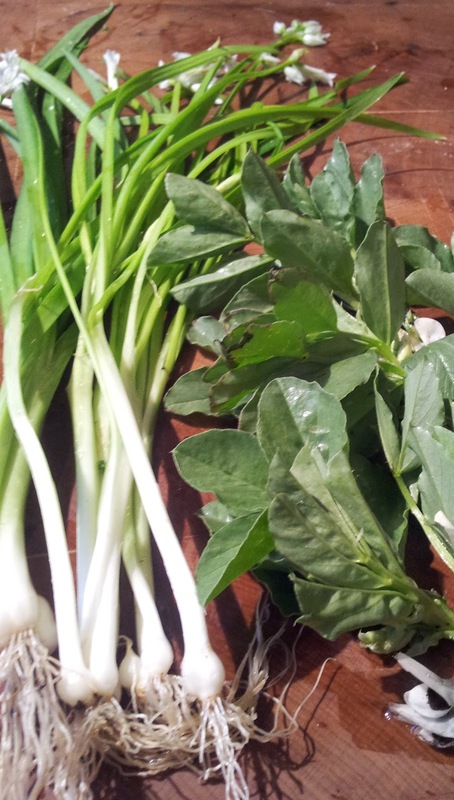 It would also be delicious served as a bed of green with fish. Its always a decision when it comes to taking that last plant. I harvested some of the cabbages when they weren't fully matured so avoided having too many cabbages ready at once. 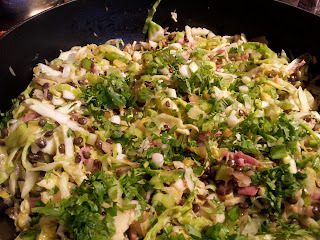 When just cooking cabbage quickly I like to add fennel seeds and cook it in butter. 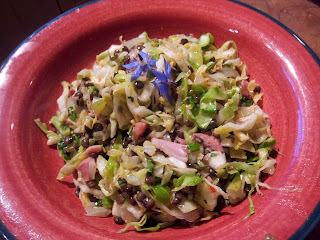 But this recipe today was a true celebration of my last cabbage of winter 2012.